The multi-award winning, critically acclaimed BLACK SWAN is a seductive and haunting film that will leave you breathless. Directed by innovator Darren Aronofsky (The Wrestler), the film boasts a wealth of talent including Academy Award winning ‘Best Actress’ Natalie Portman (Closer), alongside Mila Kunis (Date Night), Winona Ryder (Girl, Interrupted) and Vincent Cassel (Ocean’s Twelve). In the film, Natalie Portman’s mesmerizing transformation into the Black Swan leaves you breathless – and wanting to see it again. Become part of the haunting phenomenon and own BLACK SWAN on Blu-ray or DVD on 16 May 2011 from Twentieth Century Fox Home Entertainment. 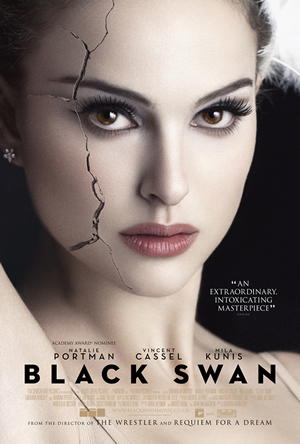 The BLACK SWAN Blu-ray disc contains special features not included on the DVD including an insightful discussion with Darren Aronofsky and Natalie Portman about their creative journey, plus an inside look at the incredible costume and production design. With the best-available sound and picture quality, the Blu-ray format provides viewers the premier way to experience the stunning Academy Award®-nominated cinematography, memorable character performances and flawless choreography of BLACK SWAN.